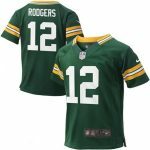 Get the perfect look to let everyone know your kiddo is a true Green Bay Packers fan! He will proudly show his team spirit in this Game Football jersey from Nike. With printed Green Bay Packers and Clay Matthews graphics, everyone will know where his team loyalties lie. 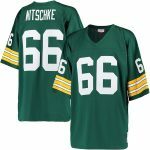 FansEdge is your trusted source for all the latest Green Bay Packers gear.